Meat Loaf Mondays? What’s Meat Loaf Mondays, you ask? Well, welcome to another (probably bad) decision I’ve made for a new series on this blog. MEAT LOAF MONDAYS! Both tasty and cheesy! MLM, much like WWW, will be a weekly adventure of film and television, but this time everything is centered around the career of musician and actor Meat Loaf (born Michael Lee Aday). Why Meat Loaf? Why the hell not Meat Loaf? But much different to my Wicked Wisconsin Wednesdays, MLM isn’t necessarily about Meat Loaf. Rather, this is just a way to explore film and television through a rather varied and strange career. For the first week, we’re looking at an episode from a classic television show, a rather delightful treat with plenty of cannibalism. “What’s Cookin'” is from the sixth episode of the fourth season of Tales From the Crypt, which aired in 1992, about a year after I was born. Growing up, I never was a fan of Tales From the Crypt, and I suppose a major reason for that was mostly because of age. Growing up I watched the much milder Are You Afraid of the Dark? and found that terribly terrifying at a young age. 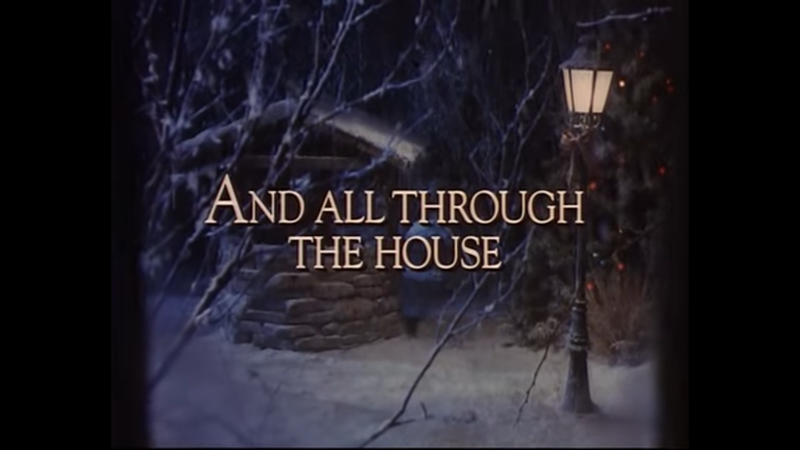 Everything scarred me at that age, which I suppose makes me rather glad that I watched this show when I was a bit older (though my older sister did enjoy tormenting me by talking like the Crypt Keeper). 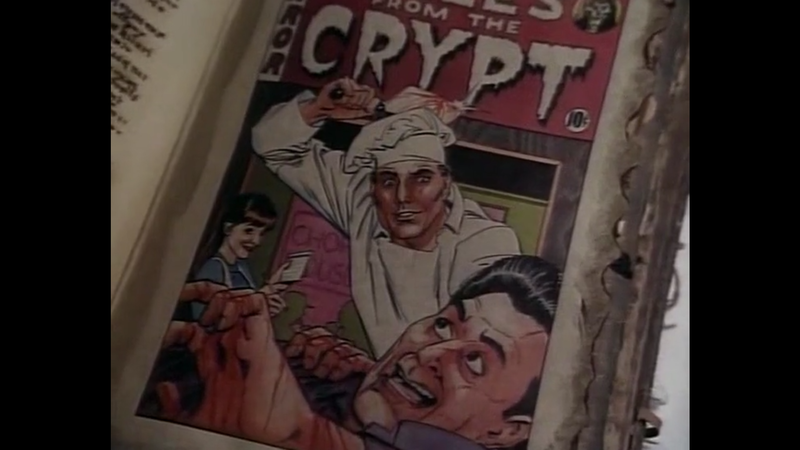 This episode from Tales From the Crypt is much more gruesome than anything that would have been shown on a politely twisted Nickelodeon show, despite both shows being aired around roughly the same time. Much of it is pretty standard TFTC fare: puns, a bit of gore and a weird (sometimes incomprehensible) twist at the end. Married couple Fred (Christopher Reeve) and Erma (Bess Armstrong) are struggling to keep their restaurant open. This is mostly due to the fact that no one is interested in a squid-only restaurant. They can afford to keep one man on staff: Judd Nelson. Gaston (Nelson) is a drifter who keeps telling Fred and Emra that he has a fantastic recipe for BBQ. But Fred pushes these suggestions aside, deeply believing that someone loves squid enough to keep going to this crappy restaurant. After closing shop one night, Fred is approached by Chumley. Chumley is, of course, played by Meat Loaf, who has the silliest accent put on here. I’m not entirely sure what he’s trying to achieve in the scene, but he gets to say great lines like “Today is today,” which is totally excellent. He’s clearly enjoying his brief appearance because he wears an excellent white suit and matching fedora. 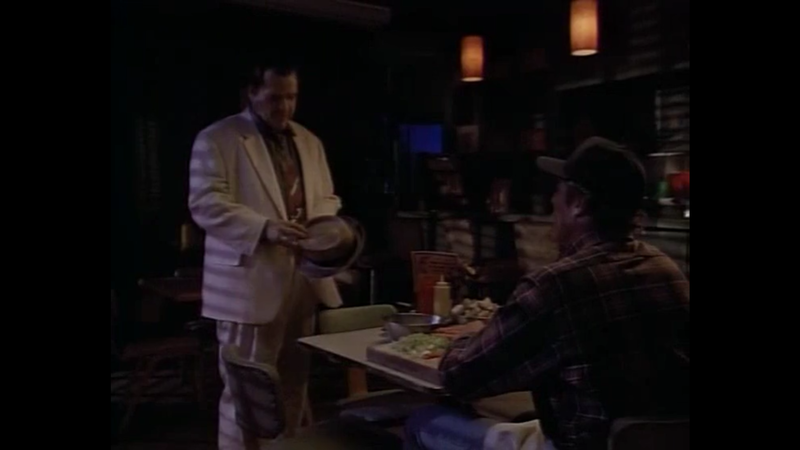 Chumley (which is a name only given to horrible people) is around the restaurant to collect the overdue rent Fred has to pay. Chumley heads to the door after evicting Fred, but Fred follows and accidentally cuts Chumley with his knife. Outside, Gaston is chatting to Erma. He tries to coax her into leaving her husband, but really, in a battle between Judd Nelson vs Christopher Reeve – is there really a competition? Even if in this reality Reeve owns a crap squid restaurant, there’s not much of a battle here (even though Judd Nelson is still a lovely-looking man). As Erma heads home, Gaston spots Fred and Chumley leaving the restaurant in an argument. The wheels are clearly turning in his head, which can only mean the horror is about to be brought on. The next morning, Fred feels completely defeated as they’re supposed to be evicted. When Officer Phil (Art LaFleur) enters and orders a steak, he’s almost turned away before Erma finds some steaks sitting in the fridge. Gaston offers up his apologies and explains that he got a good deal on the meat and really wanted to give his BBQ idea a try. So the steak is fried up and served to Phil, who seems to enjoy it immensely while explaining that their landlord, Chumley, has disappeared the night before. As customers pour in from smelling the incredible sizzle of meat, Fred heads back to the freezer to fetch more steaks. At this point, he finds his now-former landlord strung up on a hook in the freezer. Gaston pops up and explains that this was his idea all along. 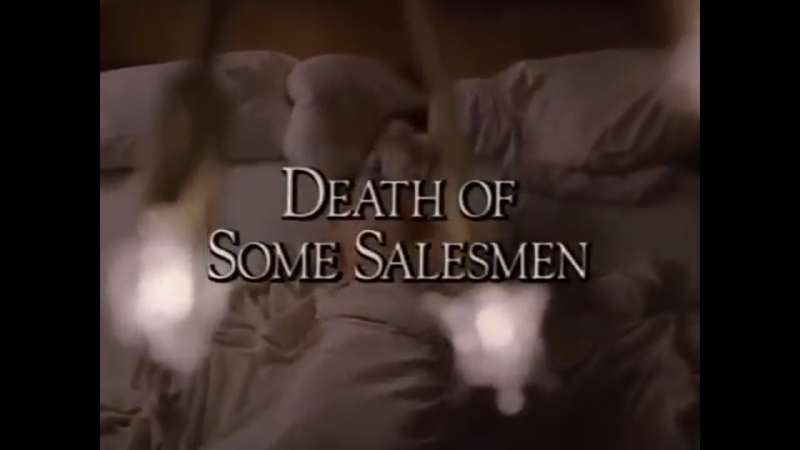 But the lure of money and the threat of being accused of as the murderer, Fred folds and allows Gaston to become 50% owner and continue his murdering ways all for the sake of sizzling meats! This is by far the most disgusting part of the episode. Yes watching Meat Loaf’s body slowing getting hacked away at is mighty gruesome, but there’s something really upsetting about watching the customers enjoy it. But as the restaurant becomes more successful, Gaston becomes more threatening. Nelson plays an excellent psycho, as usual, and it’s pretty fun to watch him go off on Fred and Erma, and it’s even more satisfactory when it all crashes in on him in the end. Despite the episode missing a great joke (no meatloaf being served, really), this is a really excellent episode of Tales From the Crypt. It’s gross and darkly funny all in one. It’s well worth a watch, and for TFTC fans, re-watch again if only for Meat Loaf’s great accent.